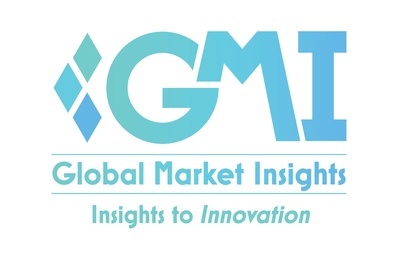 Food Antioxidants Market to Surpass $3 Billion by 2025: Global Market Insights, Inc.
SELBYVILLE, Delaware, April 1, 2019 /PRNewswire/ --Germany food antioxidants market revenue is anticipated to exceed USD 170 million by 2025. The product finds its application in bakery and confectionery owing to growing demand for effectively enhancing shelf life of products positively impacting market growth. Food antioxidants market value from processed food is estimated to surpass USD 750 million by 2025. The product is utilized in processed food industry owing innovative processing procedures for improving products' shelf life. Changing lifestyle, ease of consumption and improved health awareness will drive processed food demand which in turn will positively impact industry growth. Global market value is anticipated to witness strong gains owing to its utilization in infant food formula. The product in infant formula helps to increase immunity, repairs damaged cells, and provides a shielding effect. These factors will enhance product demand. Vitamin E food antioxidants market is anticipated to reach USD 350 million in forecast timeline. The product is utilized due to preventing heart diseases by balancing cholesterol level in human body. Tocotrienol isomers present in vitamin E have three double bonds which influence cardiovascular health owing to their capability to decrease enzyme activity that controls cholesterol synthesis, thus stimulating market growth. Synthetic food antioxidants may degrade nutritional value of food products and cause serious illness, which makes it problematic for usage in food & beverage applications, thereby affecting industry profitability and food antioxidants market price trends. Food antioxidants industry size from fats and oil application is likely to grow at over 5% in anticipated timeframe. It is utilized to hamper the development of unpleasant taste and smell in foods, making them inappropriate for consuming. The product also provides thermal stability and increases resistance of vegetable oils in thermal degradation process in frying. These factors may drive product demand. China market revenue is anticipated to exceed USD 340 million in by 2025. Growing prevalence of meat and meat products in the region will propel product demand. The product is utilized to provide fortification by nullifying free radicals as they block oxidation process in meat and meat products which will positively impact market growth. Polyphenol food antioxidants market size is predicted to grow at over 6.5% by 2025. Polyphenols contain flavonols, flavones, catechins, flavanones, anthocyanidins and isoflavones are most abundant dietary antioxidants. It helps to reduce inflammation, plasma cholesterol, and inhibits pro-oxidant enzymes. It also promotes nitric oxide induced endothelial relaxation, hence escalating product demand. Food antioxidants market is highly fragmented with key industry participants including Lonza, Riken Vitamin, Kalsec Inc., Camlin Fine Sciences, Eastman Chemical, Archer Daniels Midland Company, Kemin Industries and BASF SE. Manufacturers are engaged in the development of new products and expansion of their production capacity to inherent greater market share.